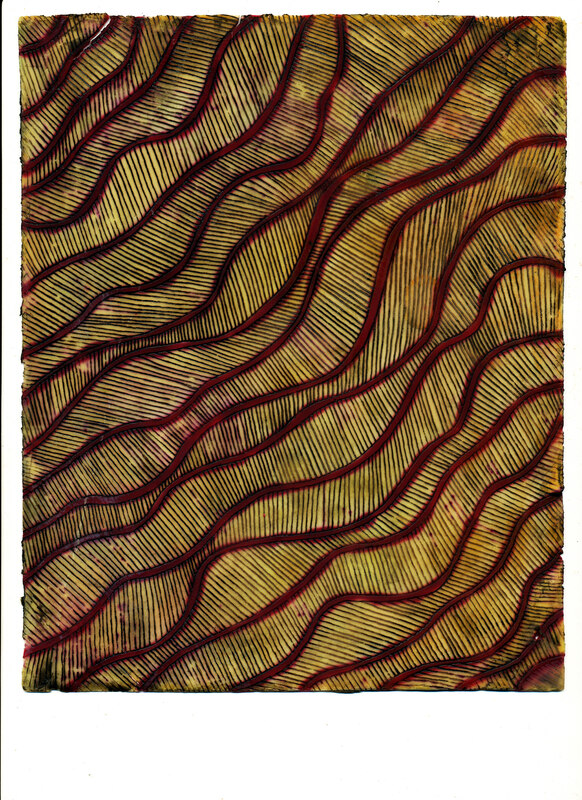 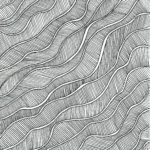 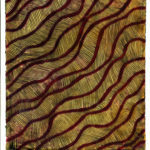 “Intersecting Lines” started off as one of those doodles we all did growing up. 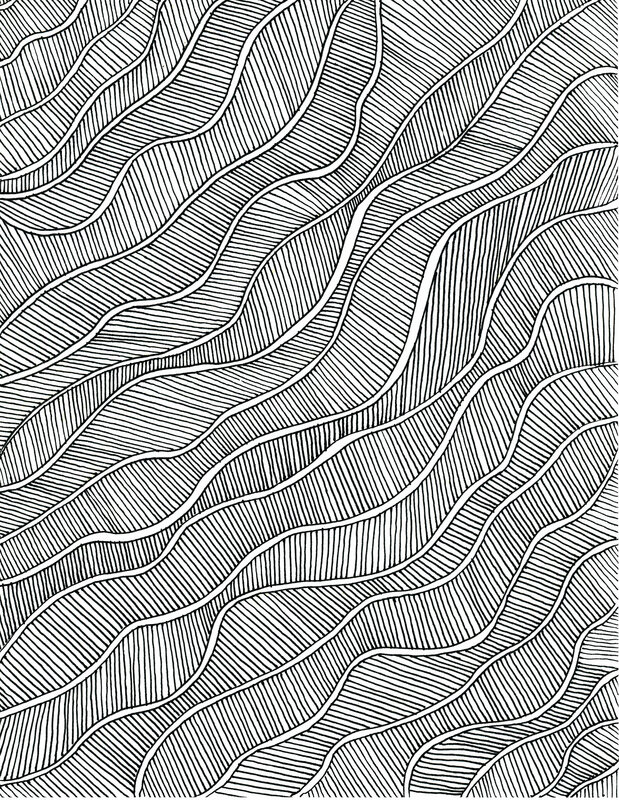 Before I knew it I had done an entire page of wavy intersecting lines. 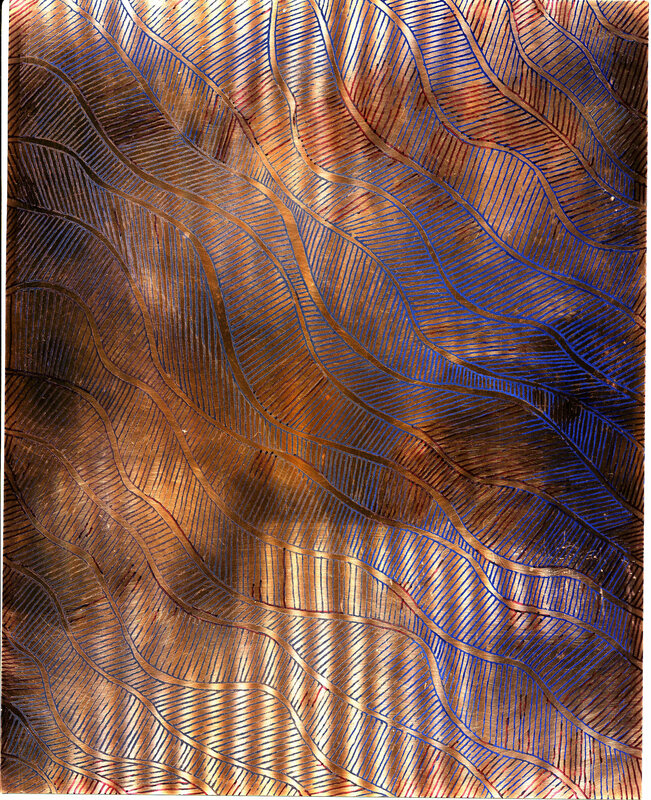 Next step was to turn that drawing into an etched copper sheet. 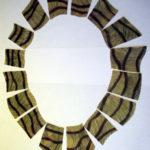 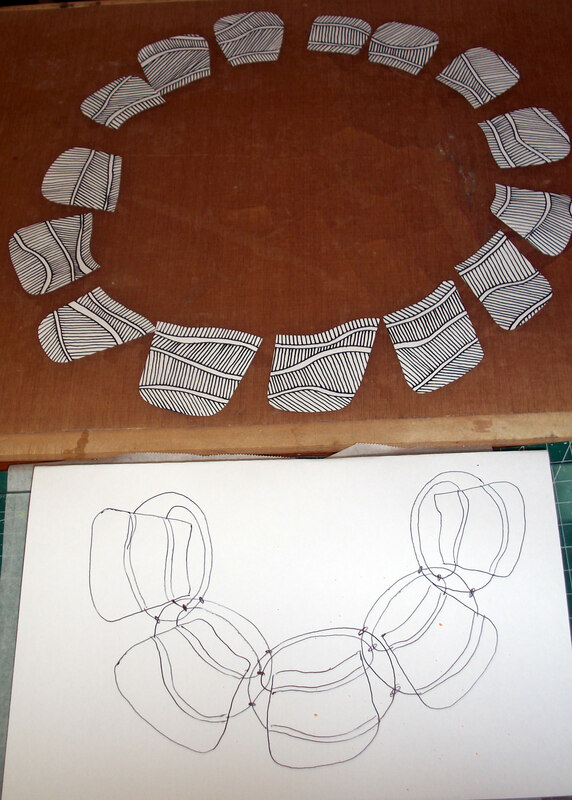 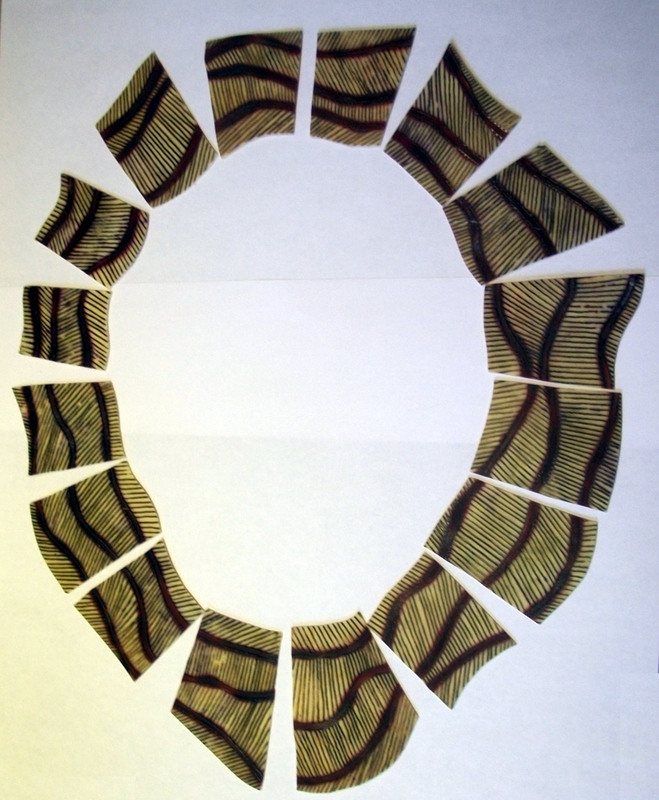 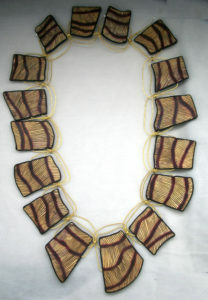 Then to figure out how I could keep the flow of the lines going from piece to piece with a practice paper necklace. 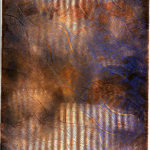 The Etching Alternative veneer came next and then having the nerve to cut it up. 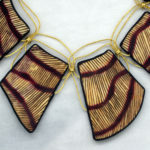 I had already planned to use the 2 strands of hammered brass wire to emphasize the top 2 red lines. 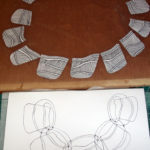 And finally to put it all together.